Dr. Chandra P. Sharma is former Senior Scientist G and Head, Biomedical Technology Wing, Sree Chitra Tirunal Institute for Medical Sciences and Technology (SCTIMST), Trivandrum and has been Head, Biosurface Technology Division, SCTIMST, Trivandrum from January 1980 to February 2014. He has also been Associate Head, Biomedical Technology Wing, and Associate Dean, PhD Affairs, SCTIMST Trivandrum. Presently he is Adjunct Professor, Department of Pharmaceutical Biotechnology, Manipal College of Pharmaceutical Sciences, Manipal University, and Hon. Emeritus Professor, College of Biomedical Engineering & Applied Sciences, Purbanchal University, Kathmandu, Nepal.Dr Sharma has been TMI/DTM of COFRAC accredited Quality System ISO 17025 for over a decade. He is basically a Solid State Physicist from IIT Delhi and received his training in Biomaterials area in the University of Utah (USA) with Prof. D.J. Lyman as a graduate student and in the University of Liverpool, England with Prof. D.F. Williams as a Post Doctoral Research Associate. Dr. Sharma has been awarded FBSE (Fellow Biomaterials Science & Engineering) by The International Union of Societies for Biomaterials Science & Engineering (IUS-BSE) in 2008 and FBAO (Fellow Biomaterials and Artificial Organs) by Society for Biomaterials & Artificial Organs (India) (SBAOI) in 2011. He is member of, Steering Committee of the International College of Fellows (2012-16) and IUS-BSE (2003 onwards). 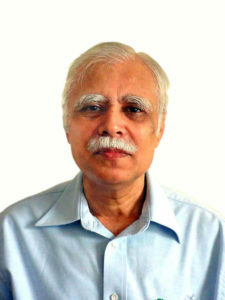 He has been recognized with various awards and honors such as MRSI medal (1994) and MRSI-ICSC Superconductivity & Materials Science Annual Prize Award 2009 – Materials Research Society of India, Distinguished Scientist award – Society for Biomaterials and Artificial Organs, India (SBAOI) and shares Whitaker and National Science Foundation Award – International Society for Artificial Organs (ISAO) USA,invited member ACS(2015-2018). He is the founder of the SBAOI, The Society for Tissue Engineering and Regenerative Medicine, India (STERMI),initiated series of Indo-Australian conferences since 2005 and also Industry-Institute partnership cell under AICTE New Delhi.Dr. Sharma has published over 400 research papers including book chapters and has processed 40 patents including in Canada, European Union, Japan and USA. He has edited several special issues of International Journals; edited a book with Dr. Michael Szycher on Blood Compatible Materials and Devices with Technomic Publishing Company ‰ÛÒ 1991, Biointegration of Medical Implant Materials: Science and Design with CRC Press/Woodhead Publishing Limited – 2010, coauthored Update on Chitosan: A Non-Viral Gene Delivery Vector with Dr. Viola B Morris – Smithers Rapra 2012,Oral Delivery of Insulin with Dr. Sonia TA – Woodhead Publishing 2014 and coauthored another book on Advances in wound Healing Materials :Science jand Skin Engineering with Willi Paul – Smithers Rapra 2015.He is also the Founder editor of Trends in Biomaterials and Artificial Organs (international journal published by SBAOI) and Hon. Member / member of Editorial board of various international Journals.He has been Ambassador, member International Advisory Board and also organized and chaired symposia in the 7th WBC at Sydney, Australia, 8th WBC at Amsterdam,the Netherlands,9th WBC at Chengdu China and TERMIS AP 2013 Annual Conference (Oct 23-26, 2013) held at Wuzhen, China.His basic activities relate understanding of blood/tissue – material interactions at the interface. In case of chitosan, an encouraging wound healing material, his group demonstrated during 1990s that its haemostatic potential is independent of classical coagulation cascade and appears to be an interaction between the cell membrane of erythrocytes and chitosan. His laboratory has completed prestigious programmes including on oral delivery of insulin under NMITLI-CSIR New Delhi and has been awarded the FADDS programme (Facilities for Micro/Nanoparticles based Advanced Drug Delivery Systems) under Drugs and Pharmaceuticals Research Programme, Department of Science & Technology, New Delhi. Dr Sharma has been member of various task force/committees constituted by Govt. of India for projects funding/vision 2035 such as DST,DBT,ICMR,CSIR,TIFAC etc and council member of TERMIS-AP, Asia Biomaterials Confederation and Asia Pacific Society for Artificial Organs (founder councilor,Vice President).